The Industrial Queen Bed, Dresser, Mirror, and Nightstand by Vintage at Great American Home Store in the Memphis, TN, Southaven, MS area. Product availability may vary. Contact us for the most current availability on this product. Old world style meets modern luxury in the unique, metal studded Industrial Bedroom Collection. 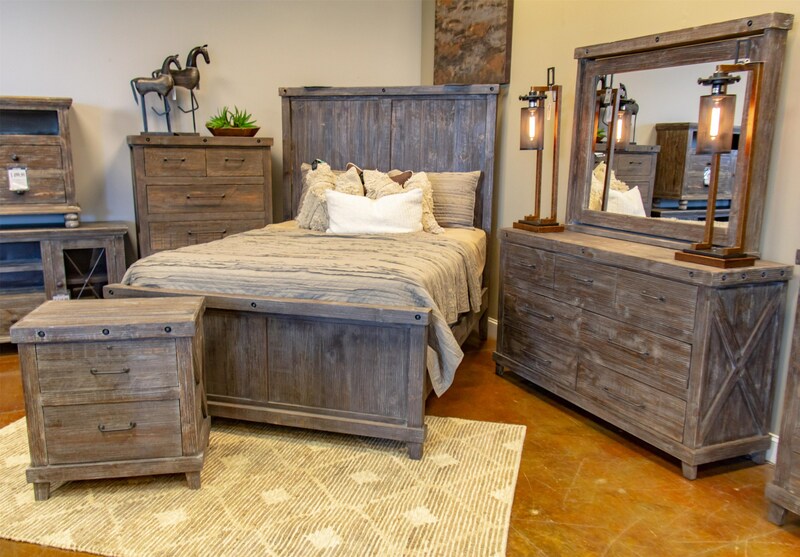 The weathered barnwood finished exterior contrasts beautifully with today’s bedding. The Industrial Collection accentuates raw beauty. The Industrial collection is a great option if you are looking for Rustic Industrial furniture in the Memphis, TN, Southaven, MS area. Browse other items in the Industrial collection from Great American Home Store in the Memphis, TN, Southaven, MS area.